I’m pretty sure you’ll agree that great accessories will pull your outfit together in a cinch! Michael Kors said it best when he said “Accessories are the exclamation point of a woman’s outfit.” So true! I feel completely naked with out a pair of earrings and a watch. Point is, your outfit is incomplete with out nice accessories to accent your look! 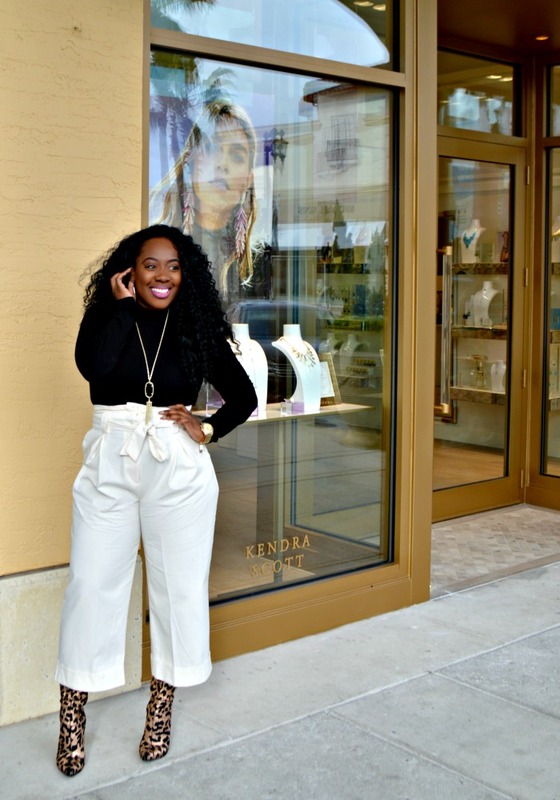 Kendra Scott accessories have been favorites of mine since I first learned about her brand years ago. 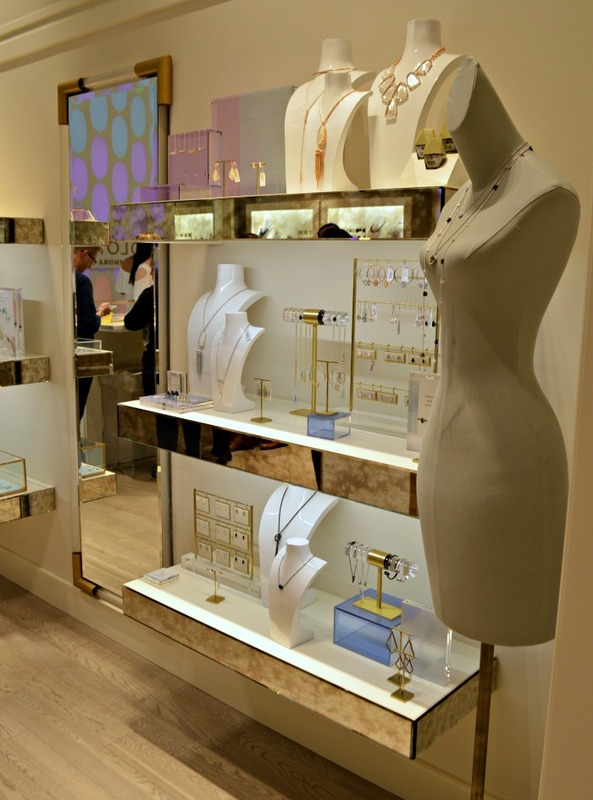 While back in Texas for the holidays, I walked into the Kendra Scott boutique at La Cantera mall and was immediately smitten! 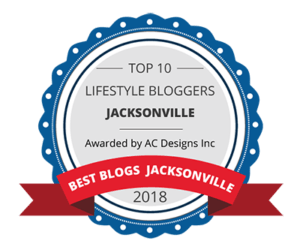 The jewelry is beautiful, well made, contemporary, and affordable! 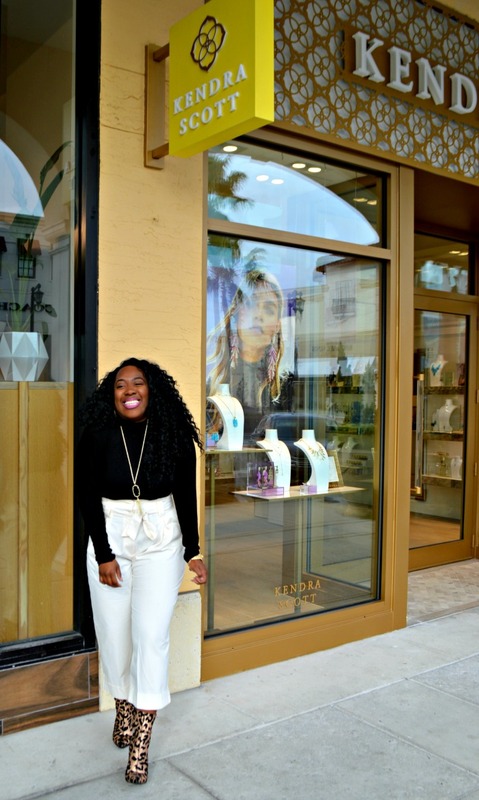 You can imagine my excitement when I first learned Kendra Scott would be opening up at the St. John’s Town Center here in Jacksonville! Most people I’ve spoken to either never heard of Kendra Scott or have seen the small area in Nordstrom reserved for her merchandise but now we get the actual store to enjoy and I am over the moon! Before I get into the opening of the store, here was my look for the day! The weather in Florida is still a little fickle so even though it felt warm when I stepped outside to check the temperature, I played it safe and covered up. I knew I’d be wearing my new favorite black and gold leopard booties so I wanted the rest of the look to be simple but chic. 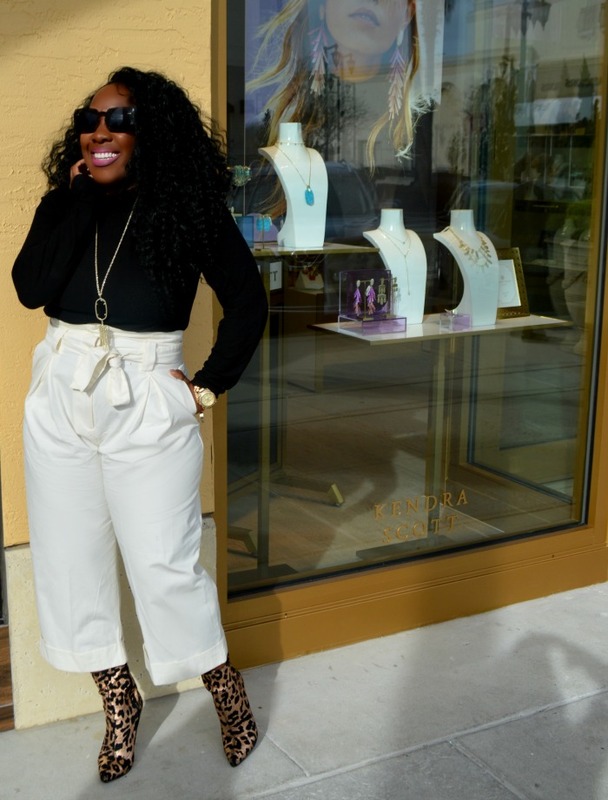 The look called for my black turtle neck and white high -waisted pants. Of course I had to represent with some of my own Kendra Scott pieces so I pulled out my favorite Rayne black and gold necklace and gold Danielle earrings. 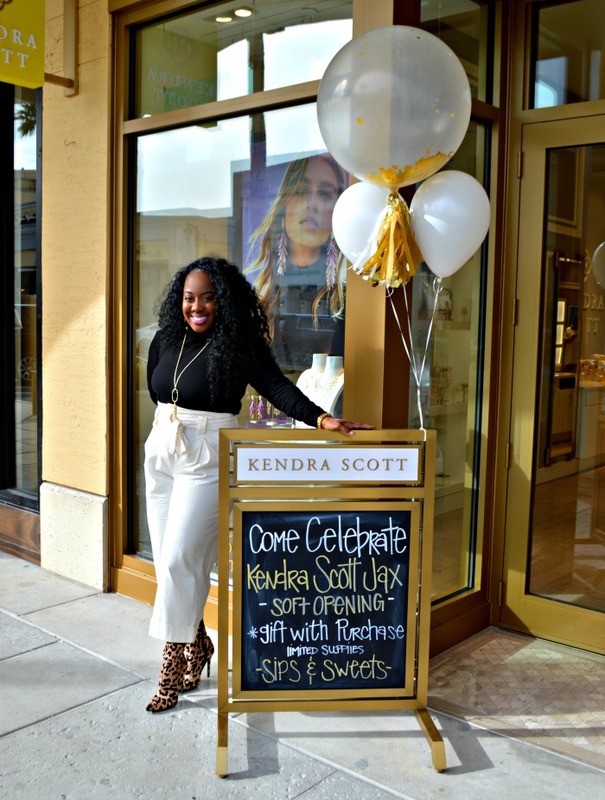 This was the soft opening of Kendra Scott so there were sips and treats for everyone to enjoy while shopping and a free gift was given if you spent $75. 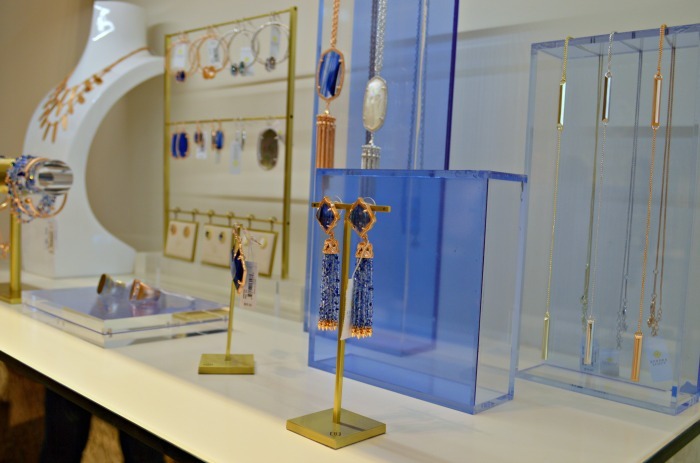 It was a fun morning hanging out with some of my blogger friends in the brand spanking new Kendra Scott store and being around so many sparkly and pretty pieces. Here is a little sneak peek at what you can enjoy when you visit the new store at the town center! 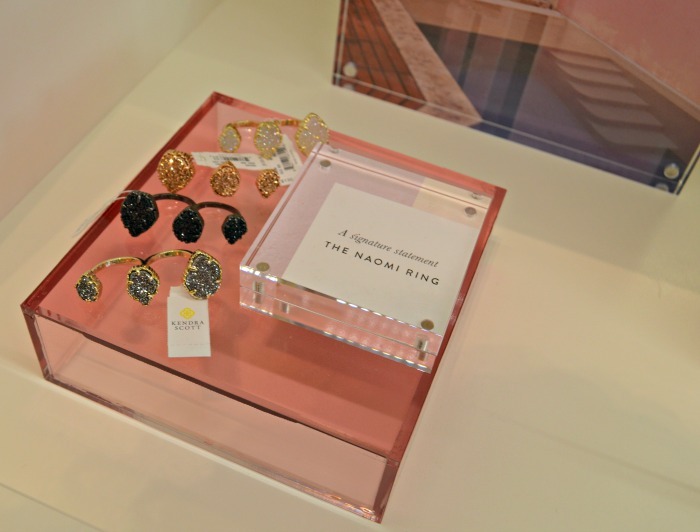 The Naomi ring is on my short list of pieces to get! I love the black one! It is definitely a statement accessory! I am absolutely in love with the new Spring Collection! Per the KS brand, the inspiration comes from shell and acrylic fringe to the creative use of negative space. Colors are blended and there are lots of textures making for pieces that feel beautifully unexpected. 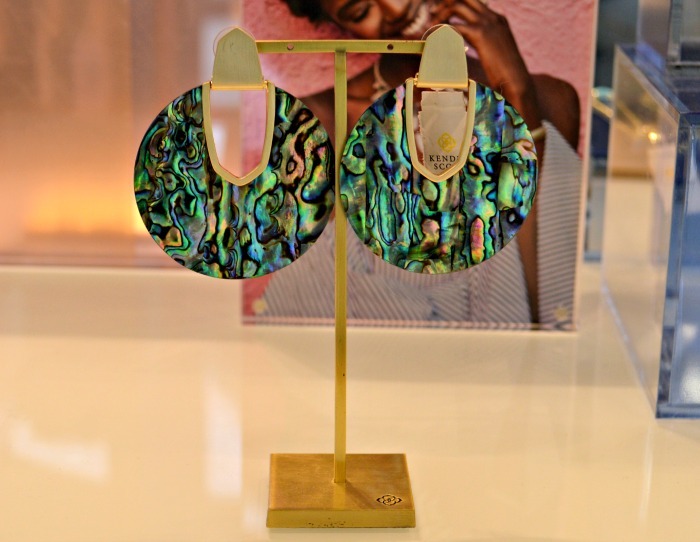 These are the Diane statement earrings in abalone shell. The color is absolutely gorgeous and the print is so enticing! Needless to say, they are on my list of pieces I want to add to my collection. 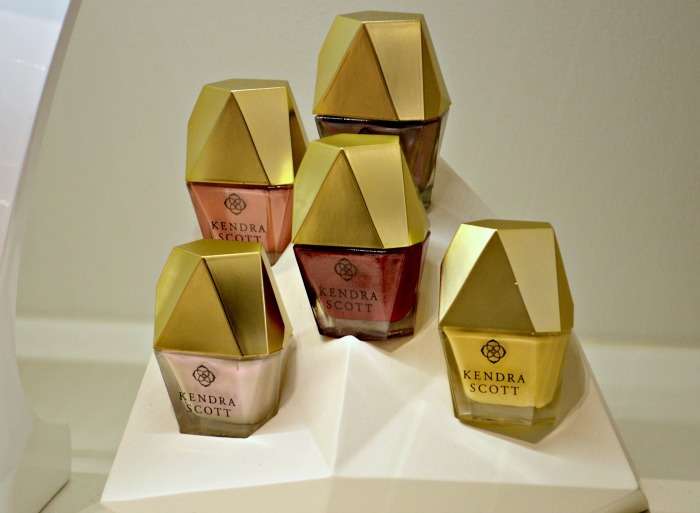 I love that Kendra Scott sells nail polish now! 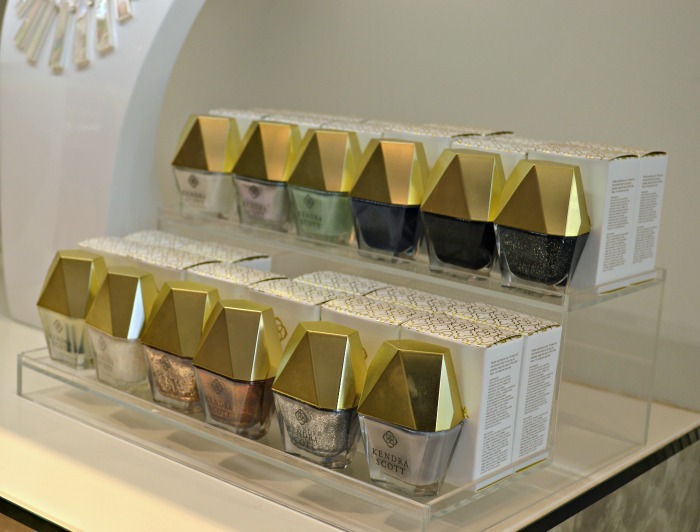 I didn’t see this in the store but they have a great necklace and nail lacquer set that would make great gifts! Valentine’s Day is coming up really soon! Ahhh! 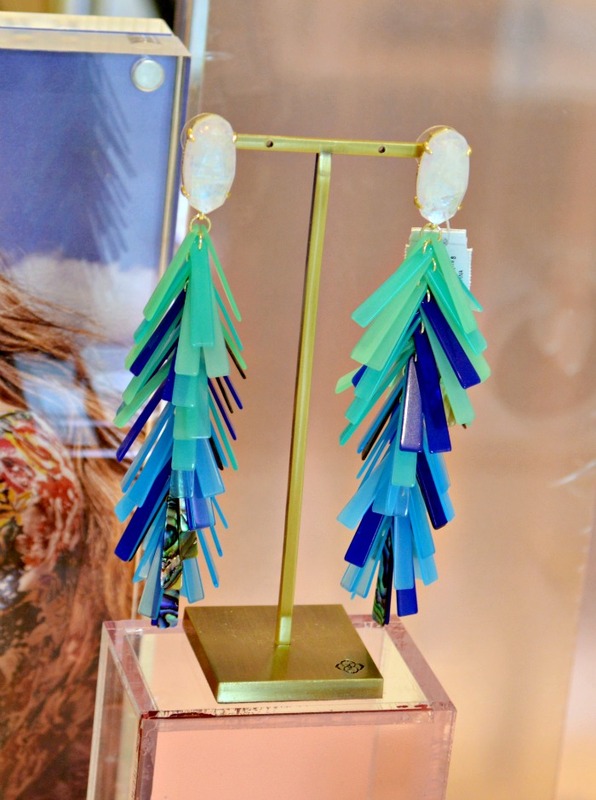 The Misha statement earrings, another beauty! These are fringed with navy dusted glass and are beautiful! I seriously want the entire store! 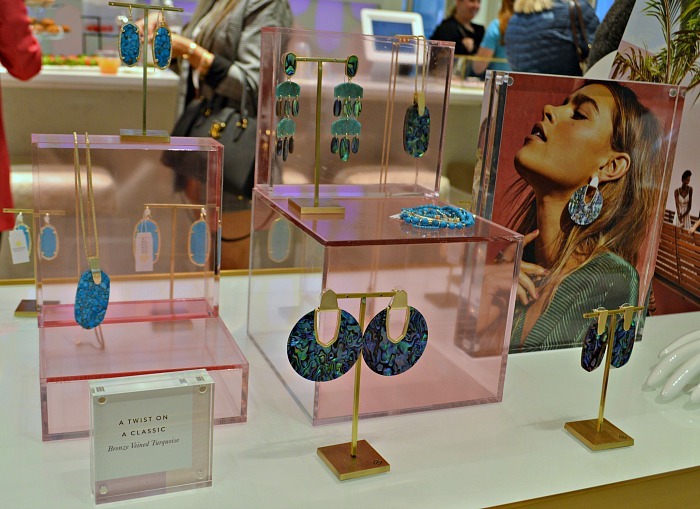 Everyone was going gaga for the Justyne Statement earrings! They come in shades of blue or shades of pink. These are a mix of 67 shell and acrylic pieces, hand-strung to create this gorgeous ombre effect! They are definitely a statement and a must have! There are so many beautiful pieces that I could have easily photographed every piece but we’d be here all day! This was a sneak peek of some of my favs from the opening! 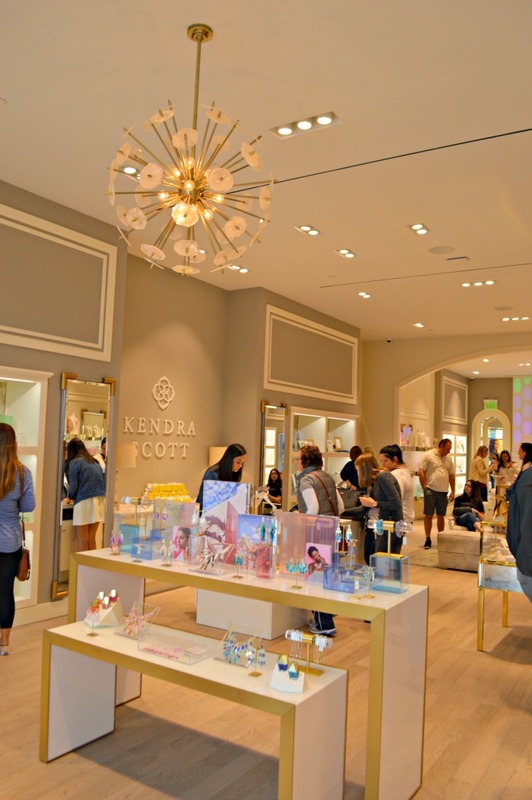 You’ll just have to stop in for a visit and see for yourself how awesome Kendra Scott is! One thing I learned a while ago is that you can purchase any item in the store for half price on your birthday! That is pretty freakin’ awesome if you ask me! My birthday is 3 months away and I already have a list of things I want to get! 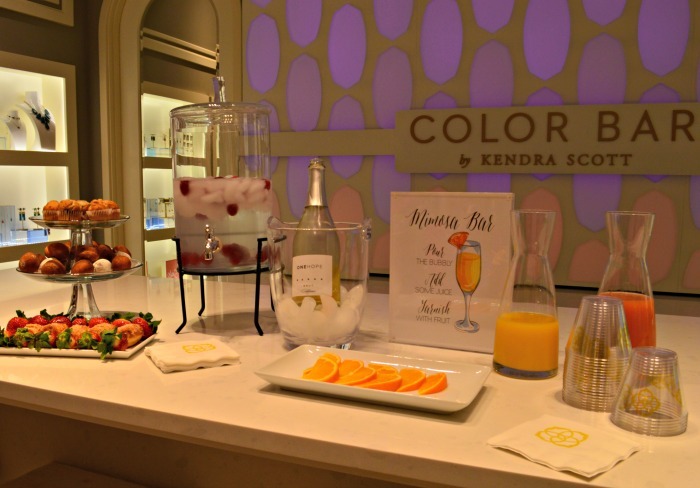 I’d be remiss if I didn’t talk about the mission of the Kendra Scott brand! 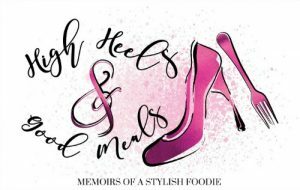 Her three core values are family, fashion, and philanthropy so besides all of the things we love, she prides her brand on giving back. I admire brands who advocate for others and make positive impacts on communities. To learn more Kendra Care Programs click here. I’m pretty excited about the opening of the store at the Town Center! I know where to send my BF now! If you’re reading this baby, here is where you should go for my Valentine’s Day gift LOL! Which piece did you like the most? Let me know in the comments below and as always, thank so much for stopping by!